As attitudes towards hiring those who fall under the autism spectrum disorder (ASD) or aspergers have slowly been changing, there has been a lack of resources available to those who want to pursue careers at the higher levels like Fortune 500 companies or those in Silicon Valley. Through my work coaching these specific types of candidates, I have identified a 3 pronged approach to help them make progress and ultimately get results during their job search. A mistake most people make when looking for a job is to use the “spray and pray” approach. In other words, people start focusing on applying as many jobs as possible hoping that one of them will eventually call them. This approach can be exhausting as well as overwhelming for anyone. Recently, when I started working with a client that fell on the spectrum, he asked me how many jobs he should be applying per day. I suggested to instead spend some time thinking about 3-5 ideal companies that matched up to his major, his short/long term career goals as well as some “nice to haves”. These “nice to haves” included what city and how far away from his parents’ home he wanted to live. Instead of applying to 10 jobs a day until he got a call back, he was able to more effectively use his time and apply to the companies he sincerely wanted to work at. Focusing his time and energy allowed him to spend the extra time needed on his applications to make sure they were producing the results we wanted (interviews). This strategy paid off: Soon after, my client was able to get 3 interviews and two job offers including one as a software engineer at a Fortune 500 company. Not only that, but by identifying his “nice to haves” from the beginning, his top choice was a company that was 30 mins from his parents’ home and in an area where he was familiar with the support systems available to him. It was far enough away from home where he could ease himself into living in an apartment on his own but close enough to home in case he needed extra help. Another thing that helps those with high functioning autism or asperger’s syndrome when preparing for job interviews, is not only practicing interview questions but rather understanding the “why” behind those questions. Those who are neuroatypical may think that questions like “Tell me about yourself” or even “What kind of salary range are you looking at?” are useless and may answer them abruptly or worse yet, not at all. This can be done in two ways: First, create an Interview Theme. Similar to an avatar, an Interview Theme helps during preparation by allowing you to create the type of persona you want to project during the interview. You determine the theme by figuring out what the employer is looking for and how you want to present yourself. If you want to be seen as the software developer who is a self starter, we want the Interview Theme to touch on the summer project you did on your own. If you want to be seen as the software developer that works great on teams, then we have to make sure we talk about your experiences working with teams and how you influenced and helped the team reach its goals. By knowing what the employer is looking for (based on your research) and creating the Interview Theme, you’ll have an easier time coming up with answers to any question you get asked. The second part is understanding why these questions are being asked. Your job during the job interview is to answer questions in a way that sells your skills and abilities and makes you look like the most likeable person out of all the candidates. For example, when you get asked “Tell me about yourself” they’re not really interested in a complete run-down of your resume. They’re asking this question because they want to get a better feel of how you interact with people and if you can be concise with your answer. Another typical question “What’s your biggest weakness?” The real reason behind this question is to find out if you are self-aware and if you work towards correcting those weaknesses. Imagine how you would look if you said you didn’t have any weaknesses or that you haven’t taken steps to correct those weaknesses. Saying you don’t have any weaknesses makes you sound egotistical and saying what your weaknesses are without presenting a plan to correct them makes you sound aloof. Instead bring out a weakness, how you identified it and then the steps you’ve taken to correct it. When meeting someone new, I always recommend everyone,particularly those that have high functioning autism or asperger's to research the people who will be interviewing them. Doing this research helps you be prepared by knowing more about the other person. Although using LinkedIn is a good start you can take your research deeper by reviewing their social media accounts and using google to find out more about them. Knowing more about the interviewer also helps reduce some of the anxiety that often occurs when meeting someone you don’t know. Jon, a client of mine, used this strategy and found out that the assigned interviewer liked trail running, a pastime that my client also enjoyed. By bringing that topic into the conversation, Jon was able to establish and build rapport with his interviewer. The last 20 minutes of a 60 minute interview were spent talking about the different trails near the office. Jon knew the interview went well when his interviewer told him as he finished their conversation, “I can’t wait for you to start so we can go on some trail runs!” Less than a week later he was offered a position at the company. By breaking down the process, those with ASD or Asperger’s can make the job search process less daunting and more fruitful. Remember that this is a skill that you can develop. The more you practice and implement it, the better your results will be. No matter how much we practice and prepare for the interview, you won’t always get the job offer. Unfortunately, most times companies let you know by a blanket “It just wasn’t the right fit” to let you know that you didn’t get the job. Maybe it wasn’t the right fit however after 1 or 2 of those same responses we have to determine what we need to do better to actually get a job. Problem is, most companies don’t give you feedback. The reason most people/hiring managers don't get honest feedback is because they're afraid the recipient will get 1. defensive and/or 2. litigious. Think about it: How do you think someone who desperately needs a job will react when they are told “We don’t think you really told us about your work experience in a concise manner?” They’re probably going to get defensive and then what was supposed to be a 10-15 min phone call is now an “incident”. Here is another example: If you tell someone that’s older that they have “too much experience” it wouldn’t be hard for some lawyer to argue that they’re discriminating based on age. Also, if you’ve ever been on the other side of the hiring table, you know that some truly terrible and disgusting people apply for jobs. It would be easier and faster to tell them “It wasn’t the right fit” than spending 15 mins explaining why the VP of Tax who happens to be a female and your future boss, doesn’t like it when a candidate looks her up and down and then decides to act dismissive towards her during the interview (true story from different women and companies). So instead of dealing with all this, companies just avoid it by not giving feedback. Most people want to know why THEY didn’t get the job. In reality, they should be asking how THEY can improve. In order to avoid this, I created the email template below that shows that you are disappointed in their decision however, you respect their choice and want to know how you can improve yourself going forward. Send it straight to the people who you met with and we'll see what they have to say. I have used personally as well as with my clients to get feedback after an interview didn't go as expected. You can copy and paste and just make updates for the names specific to your situation. Also, no matter what they respond, take a moment to do a self-assessment and see if the feedback is something that you do need to work on. Sometimes it’s useful information and sometimes it’s not. For example, one time the feedback was that I didn’t have a specific type of tax experience which was a lie because we had talked about it during the interview and it was plastered all over the resume. The company had obviously made a mistake. Did I email them back and tell them so? No. I kept my word and replied with a simple "Thank you for the feedback. I'll take this into account as I prepare for my other interviews." That’s the same company that called me back to offer me the same job I “didn’t have experience for” 30 days later. Have you ever received feedback? Was it something you were aware of or was it something you’ve never thought you did during an interview? Thank you once again for taking the time to meet with me yesterday. It looks like I was passed up for the NAME OF ROLE at NAME OF COMPANY, which is unfortunate but there is always a way to make a situation into a learning experience. our meeting and how I can improve in order to make a better impact either with NAME OF COMPANY or any other company I interview with in the future. I look forward to hearing from you. Many times people struggle with the looking for the job portion. Back in the old days, you used to get a newspaper, circle the first “Help Wanted” ad you found (in red marker otherwise it doesn’t count), grabbed your hat and coat as your rushed out the door on your way to the new job. Things are a little different now and your approach should be too. You’ve probably heard about some job application that went viral resulting in the applicant getting a ton of job offers. Either they made some YouTube video featuring a flash mob or some equally asinine idea. I’m not a big fan of gimmicky job applications. You may have heard about people sending in a box of donuts with their resume at the bottom or people hanging out at an intersection wearing a bill board looking for a job. Truth is, most of these people get more attention than job offers. Also, most of those “job offers” aren’t usually for the jobs they’re looking for and instead are for hourly wage work. This spray and pray approach leaves too many things out of your control. There are better ways to get your resume in front of the right people without having to appear on the 10 o’clock news. Here are some better approaches and how you can use them yourself. 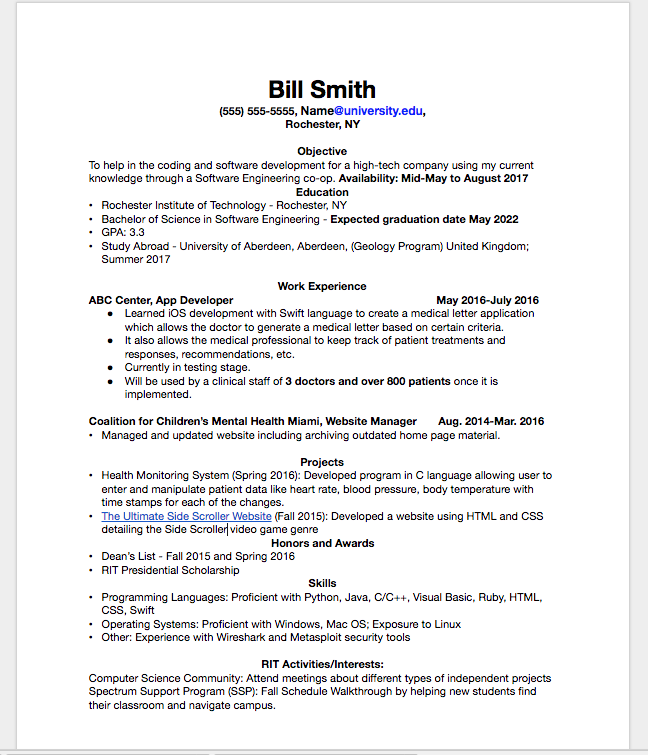 Instead of standing out on an intersection, you can make your resume stand out. Nina Mufleh had failed to get any interest from Airbnb so she went back and updated her resume focusing on creating a format similar to what Airbnb’s website was as well as showcasing what she can do for them. She sent it directly to the CEO of Airbnb who was obviously very impressed and set up an interview. She tailored her resume for a specific company and showed what she can help them achieve. Many times applicants focus on what they’ve done without considering what the company is looking for. Yes you should talk about your past experience however you should make sure you correlate that to what the company is looking for. Also, using the same resume for multiple companies is efficient however it also becomes generic. You don’t have to do a complete revamp of your resume however taking the extra 10-15mins to align your experience to the job requirements can make the difference between getting a job interview or passing out resumes on the side of the freeway. Although sending a box of donuts with your resume at the bottom sounds like a foolproof idea, I would recommend against it. First of all, getting your resume in front of HR isn’t really the point. The point is for you to get an interview and then a job offer. I personally don’t eat donuts so a plan of getting a box of them with the hopes that I read a resume that is at the bottom isn’t going to go far. Second, just because you delivered a resume to HR doesn’t mean they’re going to consider it. I have talked to enough HR pros who have told me that even though getting a box full of candy, confetti and a resume, donuts with resumes, or even a FedEx box with a shoe and the caption “I’m a shoe in for this job!” (get it? ), elicits a chuckle and maybe even a thank you email, they never seriously consider those applicants since it reeks of desperation. Thirdly, HR and Recruiters are gatekeepers. They have the power to say “no” however a very limited range of what they say “Yes” to. If you don’t fit their profile specifically, they can’t risk to make an exception. Instead, reach out to a decision maker. A decision maker is someone like a hiring manager who has the power to say “Yes” and make exceptions. Even though a job description may say 3 years of experience, if a hiring manager feels you can do the job, they’ll make an exception. I recently came across SOME ARTICLES RELATED TO THE JOB OR PROBLEMS FACED BY THE COMPANY. I would love to set up a time to talk with you and discuss some of my experiences I have solving those same problems. For example, at PREVIOUS JOB, I GIVE AN EXAMPLE OF HOW YOU SOLVED ONE OF THE PROBLEMS THEY’RE FACING. I’m available to meet on DAY AND TIME. If a better time works for you, let me know and we can schedule it. I’m looking forward to hearing from you! No one hires just to increase headcount. Companies hire because they have a problem to solve and need someone to help them solve it. By figuring out what the problem is, you demonstrate to the hiring manager that you “get it” and are already head and shoulders above your competition. By giving them examples of how you’ve solve that same problem, you show them that you can hit the ground running. I’ve used this same template to help many of my clients get a response. My current record between sending an email and getting scheduled for a phone screen is 40mins. In conclusion, instead of wasting time trying to dream up some outrageous way to “be different” focus on the tried and proven methods of creating a resume that is specific to the job and reaching out the right way to the right people. I’m sure your odds will be on your side. Let me just put this out there: Career fairs are the worst. They’re loud, packed with people, and most of the time is spent standing around waiting for your chance to do a little song and dance for some recruiter. Career fairs are an excellent opportunity for you (and your resume) to get in front of the right people. Most companies at a career fair are there because they are hiring right now. Also, a career fair can be an efficient use of your time. How else are you going to have the chance to talk with 20 companies on the same day about job opportunities? I know I’m probably jumping the gun here but I’m going to show you how to solve a problem you will soon have: having too many job offers. Yes, it’s true. Believe it or not, whether you’re on the autism spectrum or not, there will be a point (soon I promise) where you’ll get not one, but two and maybe even three job offers. I always like to tell the students of my coaching program that when it rains, it pours. I’ve seen it over and over again to where people get two job offers in the same week whereas before they started working with me they had gone 6 months without even getting an interview. When you start getting job offers, they come at you hard and fast.